Lexus IS Forum > Lexus IS > Race Related > GRIDLIFE/FORTUNE AUTO/TH MOTORSPORTS Contingency Program! Many of you in the midwest know that Gridlife is a trackday/timeattack/drift show/camping/music festival/auto coutre event. 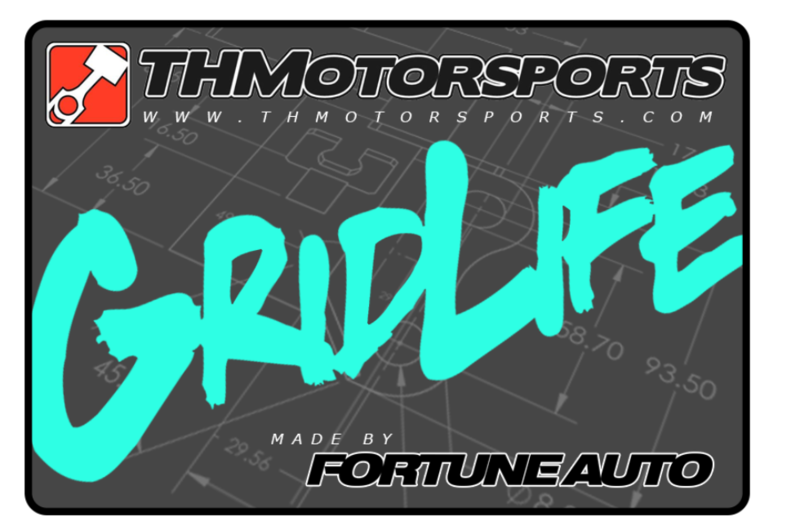 TH Motorsports has always been a staunch supporter and closely affiliated with Gridlife. We've also been a strong proponent of Fortune Auto and one of their largest dealers in the US. SO! It only makes sense that this year, we do something big as the event will be bigger than ever. June 7-10 at Gingerman Raceway in South Haven Michigan, we will be running a contingency program in conjunction with Gridlife and Fortune Auto for the Festival time attack. That's right, no need to commit to every single event. Come out, race, win, get rewarded. We will be giving away one set of coilovers (your choice of vehicle, not necessarily the vehicle you win with) to the fastest time attack driver in each class that is running our sticker (see me at the event for stickers and swag). First in class wasn't running our sticker? Tough luck, runner up gets it. Yes, we will be giving away 4 sets of coilovers for this event! These coilovers will feature a limited edition anodized body, lockrings and top hat in special colors. They will feature the digressive piston and hand built goodness that you've come to know and love. And of course, we will spec spring rates for your application and with our valving to make it perform. Not racing? Come say hi anyways. Get some swag, let's hang out, chat, eat, drink, whatever. We'll be set up with the giant flags right next to Fortune Auto.